Growing up in a coal mining camp is difficult enough. 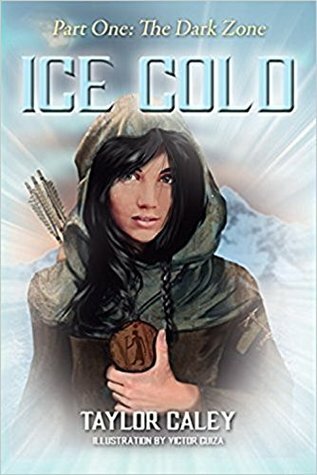 But, when Coreen Shell’s abusive father makes a promise for her thirteenth birthday that could destroy what’s left of her life, she resorts to a desperate prayer to a God she’s not sure exists. The next day, a flood washes through the coal camp, like a backhanded answer to her prayer. Coreen, her mother, and her crippled grandmother next door must climb the mountain to find refuge in a nearby church. Then, news of a murder changes everything, in a way Coreen never imagined. Will Coreen and her damaged, dysfunctional family conquer the lies, secrets, hardship, and hatred … or be destroyed by them? 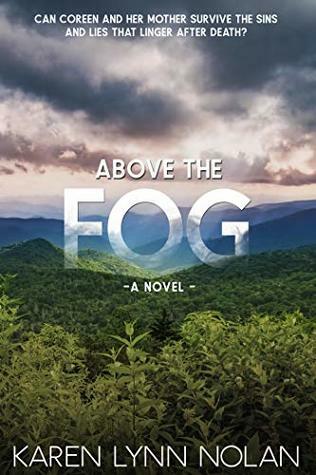 Karen Lynn Nolan is an award-winning writer of Appalachian fiction, mystery/suspense, and narrative nonfiction. Her years in the eastern Kentucky mountains instilled a love of storytelling, mystery, humor, stubbornness, and deep faith. Contact her at here. If there really is a God, then let the roof of the mine collapse on Daddy today and send him to hell, where he belongs. Coreen plucked a chenille thread from the faded bedspread and flung it into the dark space behind her cot. Tears blended with sweat and slid across her face. Stained curtains fluttered as a steamy breeze blew down the holler, through the coal camp, and into the dining room that served as her sleeping quarters. The room seemed gloomier than usual. Dark shadows lurked in the corners and threatened to swallow up the buffet, discarded by a family who could afford something better. Its sagging drawers and chipped paint made her sad. The shadows closed in on her too as she lay on the metal cot, tucked into the corner like the Christmas gift nobody wanted. Springs squeaked as Coreen turned away from the room and stared out the window. Mountains rose in every direction, like prison walls around the mining camp. She ran her fingers across a fresh bruise. If only she could escape. Especially today. Especially after what he did this morning—and what he said he planned to do tomorrow. But no matter how hard she tried, no answer came to mind. A low rumble echoed through the hollers. The odor of dirt mixed with coal dust seeped through the window. A storm was coming. Coreen twirled her ponytail, nearly the color of the faded-yellow chenille bedspread beneath her, and wrapped it into a bun. A gust of wind whipped the curtains into the air, slapping her damp skin in a torturous dance. A raindrop plopped onto the tin roof, then another and another until the sound resembled an approaching coal train. The intensity mirrored Coreen’s anxiety. She lay there listening, thinking about a solution to her problem, dreaming of a happy ending—until her eyes flickered and closed. All was silent except for the rumbles of thunder and the concussive pounding of rain on the roof. Across the room, light framed the door to her parents’ room. She listened. No sounds inside the house. Did it mean he wasn’t home yet? Was she safe for now? Lightning sizzled outside her window and filled the house with pulsing flashes. A gust of wind picked up the rain-soaked curtains and slapped Coreen across the face. The thunder cracked with such violence, it seemed to lift the house into the air and drop it. “Mama!” she screamed as terror wrapped itself around her. I would like to thank Sage’s Adderley-Knox for the opportunity to share this book. The Ravennites: children of the lost Seluitah tribe and the white refugees from the Old World. For generations their civilization had remained hidden and kept secret from the constant, prying eyes of the Outside. Life as the Ravennites once knew it, however, would soon fall to bitter change when enemies from the Outside world seek to take away from them everything they had always known and loved. Lost and helpless, the Ravennite civilization has all but fallen into ruin. That is, until a young outsider named Alex Lee discovers the hidden culture and the dire situation that has overshadowed them. Suddenly thrown into the middle of the conflict, Alex feels as though he has no choice but to make a stand and help his brave new friends in the fight to take back what is being stolen from them; while along the way gaining an incredible new insight on the life which he had left behind, and developing a powerful bond with a young Ravennite girl. The choice is his to make: to join with the Ravennites in their fight against their greatest enemies, or to fall into darkness along with all that is left of their hidden civilization, running away is no option. Whatever the path he chooses to take, however, what Alex does not yet realize is the exact nature of the mysterious forces which he constantly senses continue to surround him, and that they have had their sights set on his bloodline for a long time. Taylor Caley, a young author from Pennsylvania, not writing, but crafting a whole new world of adventure and science fiction! Alex Lee is lost in the mountains when he stumbles upon a lost tribe of men called the Ravennites. He is basically thrown into their world and must prove that he is willing to help them. While there he forms a bond with Rowan despite her brother’s attempts at trying to keep her safe. But as the two grow closer they also are faced with some tough decisions. This was a great read. I loved both Alex and Rowan. They are well written characters and I came to care for them. I hoped everything would work out since they were up against some serious diversity. I really liked following along as Alex learned to fight and was put to the test at the end of the story. The only thing I had trouble with was the start of the book. It was slow to catch my attention. But once it did I couldn’t read fast enough. I did like how although this book was geared to the young adults anyone would enjoy reading it. This is a great start to a new series and I’m really excited to see what happens in the next book. Over three years have passed since Maggie’s near fatal injury. Initially, she was happy to return home to the calm of everyday life. Time has given her a false sense of security. She no longer feels threatened by her old enemies. She becomes depressed and frustrated. She is restless running the team’s special ops missions from the safety of the Grid. To appease her and hopefully relieve her cabin fever, Shep plans a girls’ weekend for her and Celeste. No sooner does she re-enter the real world when her past finds her. Separated from her team, Maggie must use all her resources to save herself and others. She soon learns she cannot control every outcome. In an instant, Maggie’s life is forever changed. Unsure who to trust, Maggie tries to navigate her new reality. 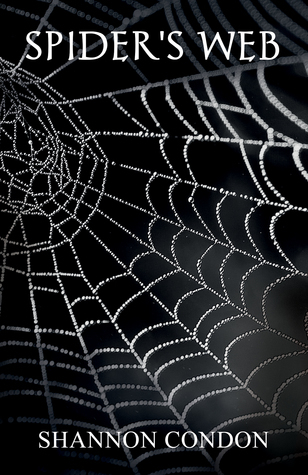 Will she be able to choose her future or will she remain trapped in the web of enemies she has created? Shannon Condon is the mother of three boys and lives in Greensboro, North Carolina. She graduated from the College of Journalism and Communications at the University of Florida. She loves to travel and is fascinated by history. She has always wanted to be a writer and with the publication of the Magdalena Series: Finding Magdalena, The Brotherhood and now Spider’s Web (release date November 30, 2018), she has brought that dream to fruition. “Okay, guys, let’s run through this one more time before you head in,” Maggie said, trying to keep the tension out of her voice. “Maggie, we’ve been over this three times already,” complained Bernardo. “Cut me some slack. Once you enter that building, I’m blind. I’m sitting in this basement trying to provide logistics and keep the three of you alive during this mission. I only have access to the street cameras, nothing inside the building,” Maggie said, her frustration growing. Maggie took a deep breath. Shep, Bernardo and Nate were in a van a few blocks from the target building in Bern, Switzerland, while she was sitting in front of several computer screens, safe in the control room in the basement of the Shepherd home. “All right.” She was in her professional logistics mode. “You are going to enter the stairwell on the northwest end of the building. Use the security swipe card I gave you to gain entrance. Before you enter the stairwell, make sure your masks are on. There are cameras everywhere; we don’t want you being identified later when they watch the tapes. When you get to the tenth floor, you will need to swipe the card again. The door will open toward you. There is an infrared security system. You will need to put your goggles on and crawl under it toward the office door straight ahead of you. My source said he would leave the door unlocked. Once you are all inside, close the door behind you and let me know you are in. Don’t touch the computer until I tell you, and leave your masks on. All good?” Maggie asked. She heard three yeses and sat back in her chair, watching them exit the van and move toward the building. She could hack the available street cameras, but the security was so tight inside the office building that she couldn’t get in without triggering the alarm. She watched them enter the stairwell and looked at her watch while she envisioned them going through the steps. She didn’t realize she had been holding her breath until she heard Shep’s voice in her ear letting her know they were safely in the office. “I’m sitting in his chair with my camera chest high. Can you see?” Shep asked. “Yes, perfect,” Maggie answered. “Enter the password and then go right to his directory.” Maggie watched as Shep did as she asked. There were about twenty folders. “Are you seeing what I’m seeing, Maggie?” Shep asked. “Most people have a photo file on their computer,” Nate chimed in. “Look around his office for me. Does he have any family pictures or anything personal there?” Maggie asked. “No, it’s completely sterile,” Nate answered. “Shep, that’s our folder, but let’s open it to check.” Shep opened the folder, and it showed an array of files dealing with uranium and yellowcake. Maggie scanned them quickly. “Looks good. Let’s put the flash drive in and start copying. It should only take a few minutes. We have seven and a half minutes until security arrives, by my count,” Maggie directed. “Bernardo, go to the outside window and open it and get the rappel ropes ready. Security is going to use the same staircase you did. You are going to have to rappel down from where you are,” Maggie said. “The window doesn’t open,” Bernardo said. Maggie’s impatience was running high again. She really needed to talk to Shep when he got back. She looked at her watch. They had less than six minutes until security arrived. “Bernardo, you have an M4 in your hands. Make the window open,” Maggie said, a little more harshly than she meant to. “I’m at ninety percent, almost there.” Maggie could hear the pinging of Bernardo’s gun taking out the window. “Starting our exit,” Bernardo said in a professional tone. He was angry with her, but Maggie couldn’t deal with that right now. “I’ve got the flash drive and am the last one out the window,” Shep reported. Maggie sighed. They’d had only a minute to spare. Her team ran the distance and piled into the van. It pulled into traffic with no one following them. “Looks like you’re in the clear. Great job, guys. Shep, would you call me once you’re settled on the plane?” Maggie asked. She hated that the agitation in her voice was so palpable. Maggie pulled her headphones out and burst into tears. I would like thank Sage Adderley-Knox for the opportunity to share this book. 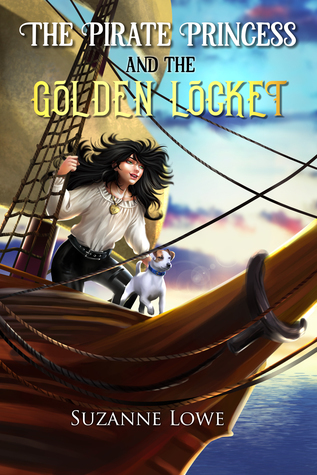 When they find themselves ship-wrecked, together, they encounter ruthless pirates, secret islands and discover the truth about Lotty’s golden locket and pirate treasure. Suzanne was born in Perth Western Australia and as a young adult, grew up in the small country town of Tom Price, situated in the outback of Western Australia. Her current home is in Perth with her husband, two daughters and cat Abby. Suzanne has a Bachelor of Science Degree, majoring in Sports Science. Her interests include watching movies, particularly sci- fi, travelling, photography and reading. She also enjoys going to the occasional comic book convention! Like the young women in her stories, Suzanne has had the opportunity to experience many exciting adventures in her life so far including being part of the Australian Army Reserves, climbing to Mt Everest base camp, descending into one of the pyramids at Giza in Egypt, flying in a hot air balloon over the Valley of the Kings, parachuting from a plane at 12000 feet in York and sitting on the edge of an active volcano on Tanna island in Vanuatu. Suzanne is a member of the Society of children’s book writers and illustrators and the Australian Society of Authors. Her published works include; The Pirate Princess and the Golden Locket, a pirate adventure story for children published by Silvergum Publishing and Seventeen, a YA dystopian adventure story published by Creativia Publishing. Her novel, Seventeen, came about as she wanted to write a story for young adults, that featured two sisters having to survive in a world, that was suddenly vastly different from one they had grown up in. One without adults or any rules. This was a scenario that her own two teenage daughters would often discuss and theorise about at the dinner table. She wanted to set the story in Australia, somewhere that is quite isolated and a unique setting for most dystopian stories. Charlotte, Lotty, is twelve years old and has just left the miserable orphanage Sevenoaks home for children. She is sent to work for Mr. and Mrs. Harrison as a lady’s maid. Later that same day she finds herself aboard the Dorchester along with Mrs. Harrison’s little dog Mr. Jacks. Lotty’s responsibilities are to watch Mr. Jacks. But then tragedy strikes and she finds herself and Mr. Jacks shipwrecked on an island, but not just any island, a pirate island and those pirates and not happy to see her. Lotty is a tough girl but she has to be to survive Sevenoaks. I love how she has a great attitude and is willing to go do things instead of looking for a hero to protect her. Of course she finds herself in one heck of an adventure when she stumbles upon the pirates but she also find out more about herself. This is a wonderful book and great for mid grade readers to adults. There is a great cast of characters, a wonderful land, and plenty of adventure and excitement. This is the second book of Suzanne Lowe’s that I have read. Seventeen was a blast to read and so was The Pirate Princess and the Golden Locket. I hope that Suzanne is planning on writing another book about Lotty’s adventures. I would love to read it. Have you ever seen a sheep standing tiptoe on the ears of a very tall giraffe while a crowd looks on and cheers? And have you seen an owl helping them to tug a rainbow from the sky, like a multi-colored rug? This is the story of Mala the rhino who can’t help feeling blue after her friend moves away. Her friends, an owl, a sheep and a not-so-humble giraffe get together with sun and create a crazumptious plan to show Mala that blue is as beautiful as all the other colors. This colorful story of friendship, love and loss will delight children while encouraging them to embrace their emotions in a healthy way. “Truly glorious! This book shares the wisdom that all feelings are not only of value, but make us who we are, in all our splendor – if we are only able to see. Amanda Jayne, in her tale, beseeches us to see.” – Natalie Prior, Child and Adolescent Therapist, UK. Amanda Jayne is a teacher, heart circle coach and a holistic health practitioner who is finally getting around to writing those books she has always wanted to write. As a child, Amanda found safety, comfort and a gateway to imagination in the books she read, and the desire to create this for others is what led her to begin writing books for children. In an effort to help young readers see the magical pictures and colors she imagines, she decided to have a go at illustrating them herself. In the past, Amanda Jayne worked in the mental health field and in 2009, after gaining her masters in Spiritual Psychology, she became passionate about the importance of emotional and self-cultivation in the midst of a world filled with overwhelming mental stimulation. Amanda has a love of travel, exploring other cultures, trees, art and eating dark chocolate. 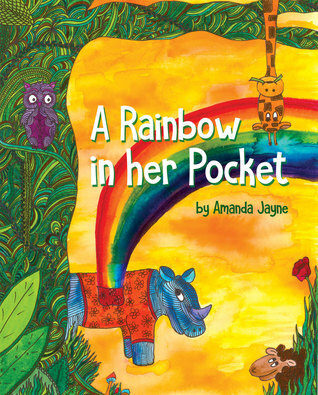 ‘A Rainbow In Her Pocket’ is Amanda Jayne’s first children’s book. 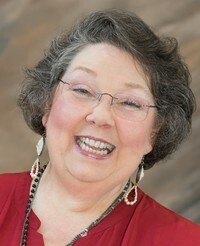 She is also the author of a travel adventure book, ‘Close Encounters Of the Traveling Kind’. .After living in Bolivia, Japan and the USA, she now lives in a quiet corner of Kent in the UK. Mala the rhino is blue after her gorilla friend goes away to the zoo. She has become so sad that she has turned blue. When she realizes that she is blue she becomes upset about being blue. She would rather be any other color than blue but just can’t seem to find a way to change color. Her friends, a giraffe, an owl, and a sheep try to find a way to show her that blue is a beautiful color just like any other. This is a cute story for kids and a great way to show them different emotions. Although you feel sad, it is still an emotion and that you can always change that, maybe with the help of some friends. But it also shows how you may be trying to cheer up a friend but you may have to wait a little bit before they realize it. This is a wonderful little story that parents and teachers could read to help kids understand having these emotions and how to help others. Plus it is filled with wonderful illustrations that will catch everyone’s eye. This would be a great addition to anyone’s library. This giveaway is for one print copy or ebook copy of the book. Print is available to the U.S. only but ebook is available worldwide. This giveaway ends on November 30, 2018 at midnight pacific time. Entries are accepted via Rafflecopter only. I would like to thank Virtual Author Book Tours for the opportunity to read and share this book. Pick up A Taker of Morrows (Book One) for $0.99 on Amazon, Nov. 26 only! Stephen Paul Sayers is a college professor and best selling author of supernatural thriller and horror fiction. His debut novel, A Taker of Morrows, was published by Hydra Publications in June 2018. 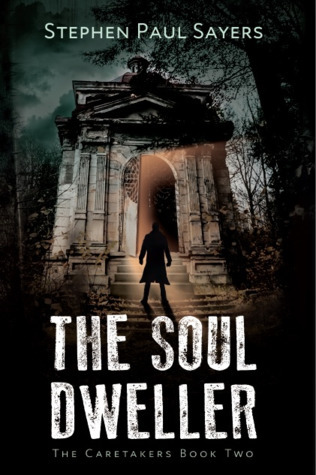 The second book in the Caretakers series, The Soul Dweller, is set to launch TODAY, November 26. His short fiction has appeared in Unfading Daydream and Well-Versed. As a research scientist, Stephen yields to the left-brain world of data analysis and statistics by day, but releases the demons in his slightly twisted right-brain by night. It gets strange around dusk when neither side is fully in control. He makes his home in Columbia, MO and Plymouth, MA—not far from the Cape Cod locations he writes about in the Caretakers novels. Throughout his journey, he has accumulated five guitars, four herniated discs, three academic degrees, two dogs, and one wife, son, and daughter. But not necessarily in that order. You wonder sometimes. About a face. Someone passing you on the street, in the subway or airport, a face you’ve never laid eyes on before and will likely never see again. So many different ones, with welcoming eyes, maybe an intimidating scowl…or a false smile, a distracted glance, a courteous nod, a lustful once-over. A face can communicate some things…but not everything. No face reveals the true world lurking behind it. It hides things no one could ever see. No one but Robert Granville, that is. “RG” could see it all. Who would have guessed looking into RG’s face that he sheltered some of the darkest secrets of the universe behind his brown eyes and kind smile, secrets nobody could possibly fathom. Who would have guessed that he had discovered a battle between good and evil raging outside life’s boundaries, one determining the fate of earthly souls, where ‘caretakers’ protect the living and ‘jumpers’ hunt them as prey; that his loving wife, Kacey, could glimpse the future in her dreams and change it, and transport herself into otherworldly dimensions; that his long-dead father and caretaker, Morrow, had saved him from a collision course with a ruthless and vengeful jumper from the afterlife. No one could glimpse that in his face. RG stared at the familiar curves and lines reflecting in the bathroom mirror as he braved another day, another chance to mull over the abrupt, life-altering events that had upset his world, turned him upside down and inside out, and redefined his life. And he was nowhere near wrapping his head around it. Life had tried to settle back into some variance of normal, the entire last year shifting him back to a steady acceptance of lost ground, unfavorable notoriety, and the need to claw his way back out of the trenches. paused a moment and traced his wife’s face and body contours with an appreciative gaze, part of his waking ritual he had yet to kick. With a spate of freckles across her nose and a river of near-auburn hair spilling over tan shoulders, Kacey Granville could send his heartbeat rocketing with a simple glance, or laugh, or a million other things she drew from her arsenal to paralyze his senses. And each passing day brought with it something different, something else to trip the switch and increase the palpitations. If a cardiologist wired him up and monitored him throughout the day, the wild swings in rhythm would force the doc to send for an ambulance before he had finished his first cup of morning coffee.